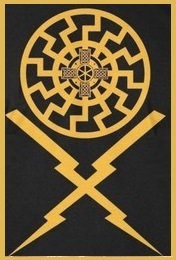 This is why Europeans will often instinctively gravitate towards archetypes and symbols of a Celtic and Germanic nature. This is evident by the enormous popularity of things like the Renaissance Faire and TV shows like “Vikings” and “Game of Thrones”, particularly among those of White European lineage. Similarly things can be said of the effectiveness African symbolism and archetypes among those of African descent. There seems to be a certain spiritual birthing place or starting point that comes from one’s racial and/or tribal heritage. It is a powerful tool for people on the path towards spiritual attainment, where they will eventually shed ALL identity. I myself have found immense help in utilizing my Celtio-Germanic, as well as Native American “roots”. Indeed, honoring the ancestral roots of this incarnation has guided me on my spiritual journey. While all spiritual paths are valid in their own way, I feel that certain paths will resonate with certain individuals in no small part due to deep ancestral connections to these traditions, and we would do well to pay attention to this. There seems to be a bit of taboo around any kind of “racial awareness”, especially among white people. However, I feel that it is necessary that we take in the fullness of this incarnation in order to make the most of it. Knowing and understanding folk and tribe and race gives us keys to unlock our full potential, reaching for the Heavens, while remaining rooted to the Earth. Rituals and spiritual traditions of our ancestors can provide the key to finding an organic spiritual path that best fosters our spiritual growth. And while we understand that at our core, that we are ultimately beyond race and creed, these things were given to us as unique expressions of the One manifesting into the many as a means of understanding our unique task or “destiny” here on Earth.